Rosa Us Zacarias found her calling at 51. Today, the hardworking mother of five from Santa Cruz del Quiché, Guatemala is a successful businesswoman. Rosa spent the better part of her life sewing clothes by candlelight, but by the time she reached her fifties, she knew she needed a new career. The constant use of her feet, smoke fumes and dim lighting were making her ill. Equally as important, sewing never yielded enough profit to better her family’s living situation. Her family lived in a dirt-floored home without electricity and running water. Rosa knew she needed a new business idea quickly. be a good business opportunity,” said Rosa. There was only one problem: the grinding machines used in flour mills are quite expensive when you’re living on a limited income. Rosa had heard about FINCA’s small loans and decided to apply for one. Shortly thereafter, Rosa received her initial FINCA loan of 5,000 Quetzales (about USD $681 today) to purchase her very first machine. Today, three times a day – about an hour before each mealtime – a long line of customers forms at Rosa’s mill, extending out the door, around the corner, and down a dusty dirt road. Women, men and children eagerly wait, each carrying a large sack of raw corn that will be turned into flour for making tortillas. To keep up with the constant demand, Rosa added a second grinding machine and employs the help of her two sons. A FINCA loan is what enabled me to start this business. This business is now our family’s main support. 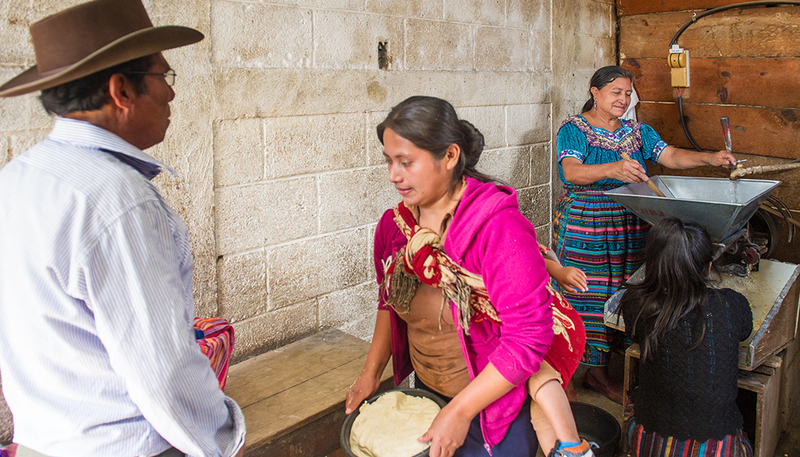 In the nine years since Rosa first opened the doors to her flour mill, so much has changed. Tired of throwing away money to rent, Rosa purchased her house. Then she began making meaningful upgrades to her home. First, she installed electricity. Then, she added running water. And finally, she covered up the bare dirt floor with cement and added two additional rooms – doubling the size of her family’s home. Today, you’ll even find a refrigerator and a TV inside her home. 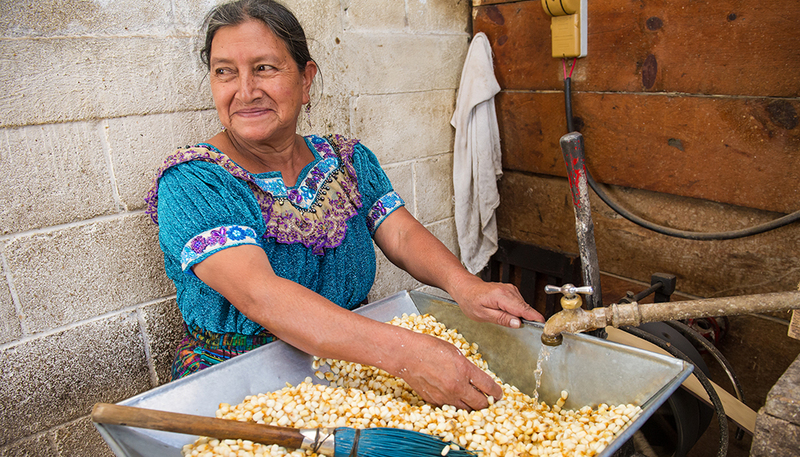 Even at the age of 60, Rosa has growth plans for her flour mill and her kitchen. “I’d like to replace my two-phase machines in the mill with four-phase ones so I can serve more customers and faster. And I’d like to buy a microwave for the home,” said Rosa smiling.